Forgot to bring your dice to a role playing game or other dice game session? 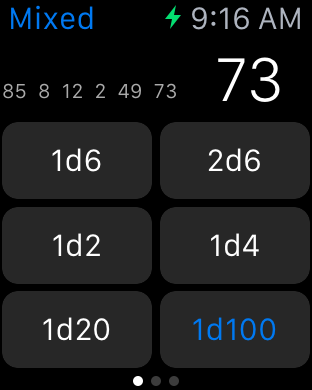 This app has been designed for the Apple Watch. 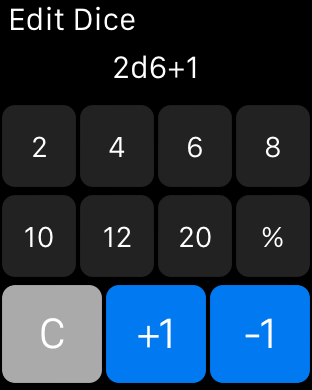 The iOS companion app allows you to define new dice sets and add them to the list of dice sets to choose from. 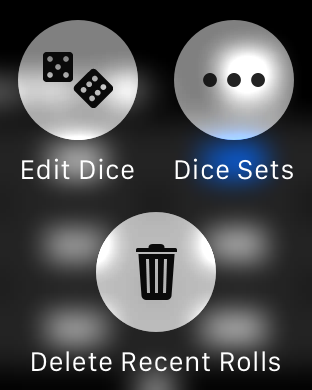 You can roll the dice on the iOS app, too, of course.